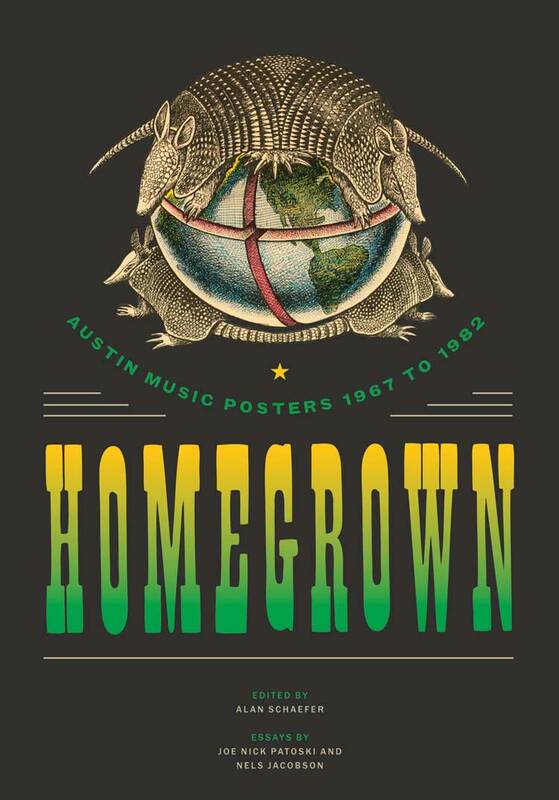 If you’re near Austin on Sunday March 1st, you won’t want to miss The Wittliff Collections’ presenting Homegrown Austin Music Posters, 1967-1982. This free event celebrates the Homegrown exhibition of more than 140 vintage pieces from the Wittliff Collections’ poster archives, gifted by Tom Wilmore and other donors. Poster artists in the late sixties, seventies, and eighties visually evoked the sound and defined the culture of Austin just as the city was establishing itself as one of the most vital music scenes in the country. A reception will be followed by a discussion on how the poster designers helped define Austin’s underground culture, with featured artists Kerry Awn, Jim Franklin, Danny Garrett, and Micael Priest, moderated by artist, poster historian and TRPS board member Nels Jacobson. There will also be a signing of the accompanying Homegrown exhibition book, edited by Alan Schaefer and published by the University of Texas Press. Both hard- and soft-cover copies of the book will be available for purchase at the event, and once signed are sure to become instant collector items! ATTENDEES are asked to RSVP to thewittliffcollections@txstate.edu to receive further information including parking instructions. For special assistance or questions, call 512-245-2313, ext. 0. For those unable to make the event, you can preorder the book now. The exhibit runs through July 3, 2015. Sally Barker liked this on Facebook. University of Texas Press liked this on Facebook.